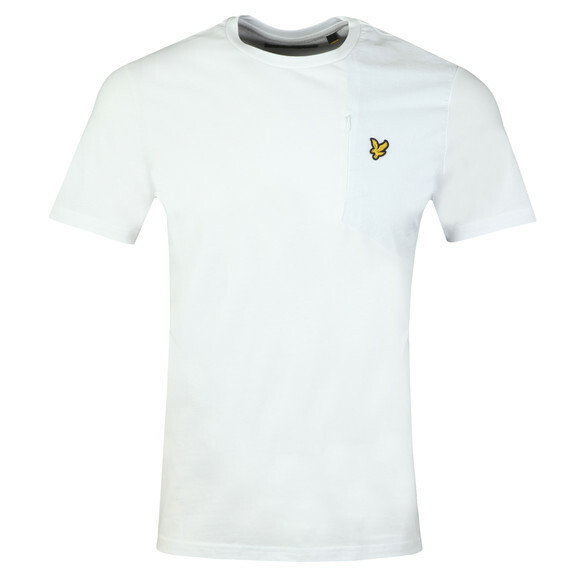 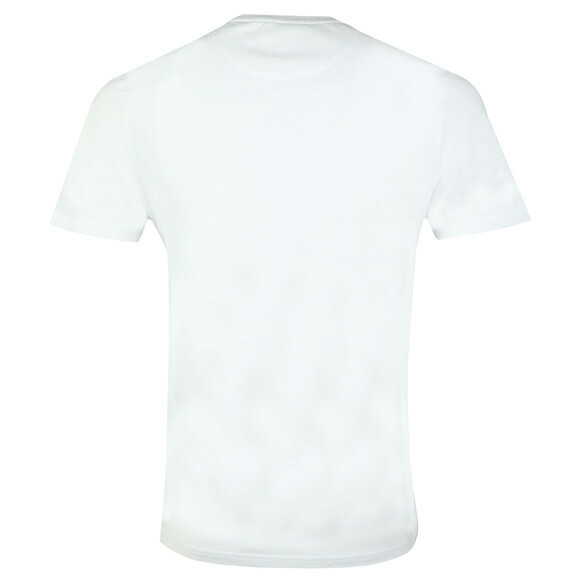 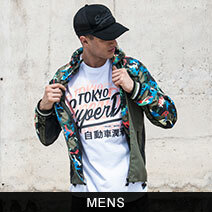 Lyle & Scott Fabric Mix Tee in White. 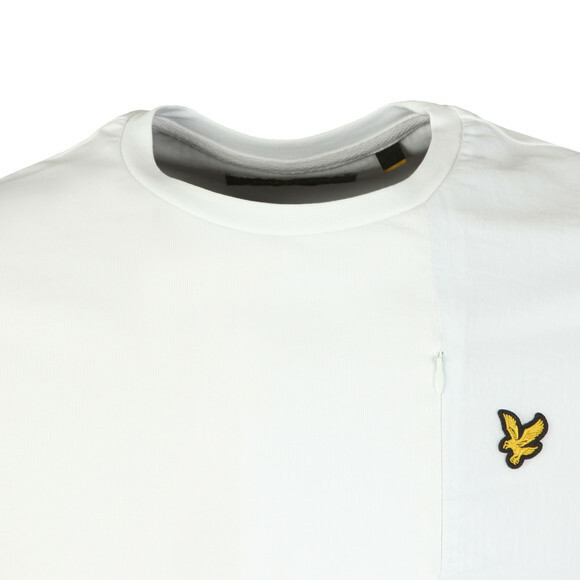 Given a contrasty fabric patch on the upper right of the chest that carries a zip pocket and an embroidered eagle logo. Cut in a regular fit.